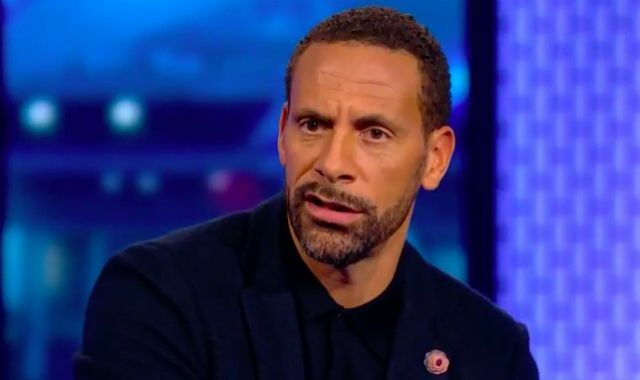 Ex-Manchester United centre-back Rio Ferdinand insists the current crop of defenders at the club are not good enough and highlights transfer failings. The Red Devils have won three of their opening five games at the start of the new Premier League season, keeping just one clean sheet and conceding eight goals already. Despite improved displays in their last two outings against Burnley and Watford, Mourinho’s men still look worryingly vulnerable at the back and have had to rely on the brilliance of number one goalkeeper David De Gea to bail them out of trouble on a number of occasions. Despite finishing runners-up in the title race last season behind their local rivals Man City, it appears that United have gone backwards in their pursuit of glory, particularly after failing to secure the summer signings Mourinho had pushed for during the transfer window. Several defenders were heavily linked with moves to Old Trafford but in the end, only Diogo Dalot at left-back, Fred in midfield and backup ‘keeper Lee Grant were brought in to reinforce the current squad. According to the Mirror, BT Sport pundit and club legend Ferdinand has been unimpressed by the players in front of De Gea in defence, singling out Eric Baily and Victor Lindelof as flop signings, as he told reporters on Monday: “He’s superhuman. But with the guys in front of him, there are inconsistencies in terms of personnel every week. “You can’t build a defence on people that aren’t going to be reliable. “Has Lindelof worked? No. Has Bailly worked? No. “Smalling and Jones, they haven’t kicked on like the potential they showed when they first came through the door. “So that ain’t going to change, is it? “The foundations of every big team that wins things is the defence. The 39-year-old was speaking ahead of United’s trip to Switzerland to face Young Boys in the Champions League on Wednesday, in their first Group H clash. Mourinho’s men have been drawn alongside the Swiss club, Juventus and Valencia, in one of the most difficult groups in this year’s competition, but Ferdinand went on to suggest he expects his former club to qualify for the next round, despite not being realistic contenders for the trophy in his eyes.